Many people are unfamiliar with the connection between water leaks and energy conservation. However, at Star Cities Plumbing this is something we take very seriously. We believe it is very important to be able to identify leaks and their symptoms so that you can have these issues cleared up and save energy in your home. If you are not using any water but you happen to notice your water meter is changing, then you might have a hidden leak in your home somewhere. A good way to check this is to mark your water meter level with a marker and check it in an hour. Be sure that you do not use any water during that time. If it has changed, then you might have an issue with water leaks and energy conservation on your hands. Another way to check for water leaks in your home is to call a professional plumber out if you smell any foul or mildew odors coming from the floors or walls in your home. It is pretty common that these smells originate near drains or sewer lines, but this is not always the case. If there is a bad smell, or discoloration in your ceiling, walls, or floors, you might have a leak. 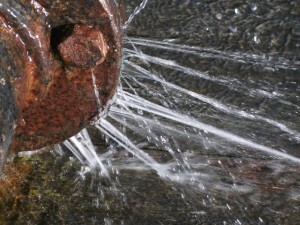 A New York City plumbing contractor can help determine whether there is a leak or not. Star Cities Plumbing is dedicated to helping homeowners identify water leaks and energy conservation methods. Finding the leaks and taking care of them right off the bat will be very helpful in saving you money while caring for the environment. If you detect that you might have a water leak in your house somewhere, make sure to give us a call at 800-547-1422.